Feel The Rumble! No experience required. 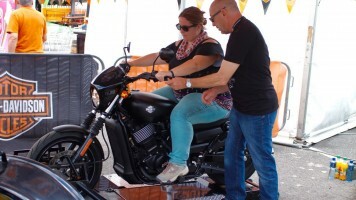 Jumpstart is an innovative demo tool that safely puts you in the saddle of a Harley-Davidson® motorcycle, and lets you experience the thrill of the throttle! 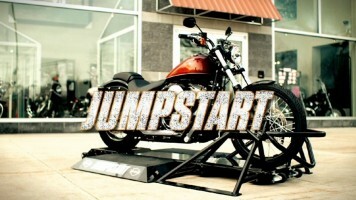 Jumpstart is great for anyone with little to no riding experience. 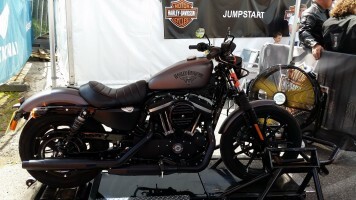 The Harley-Davidson® motorcycle is securely fitted to the Jumpstart and the rear wheel rolls freely as the rider engages the clutch and twists the throttle. Learn how to start up the engine, shift through the gears, apply the brakes, signal for turns, beep the horn and power down the engine. You will hear the rumble of the engine and feel the power as well, yet the motorcycle remains stationary at all times. 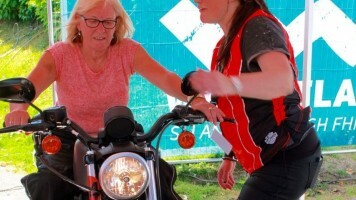 It provides a fail safe opportunity for learning to operate the controls of a Harley-Davidson® motorcycle.